Fall is now upon us. Besides being a great time to visit Walt Disney World, Fall is also the season of Halloween. 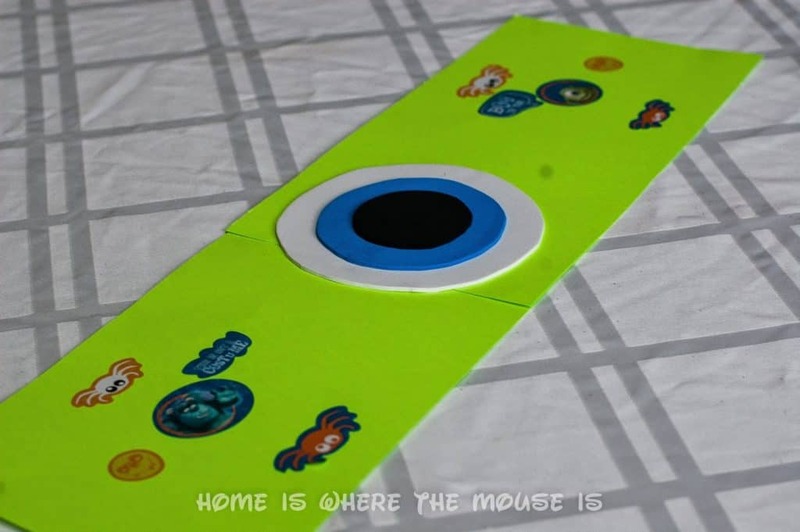 Disney-themed Halloween costumes, decor and items are a great way to Disnify the holiday. 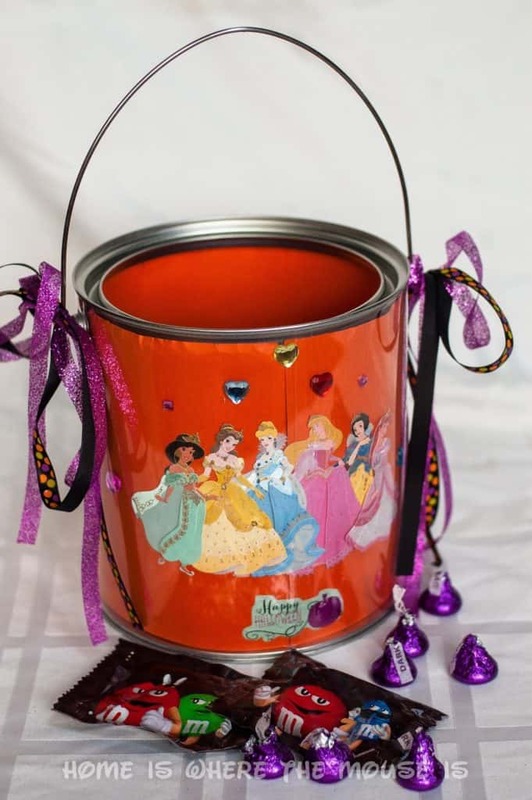 While Disney-themed Trick or Treat buckets sold in the parks are adorable, they can be expensive. Also, many families may not be making it to Walt Disney World this Fall. 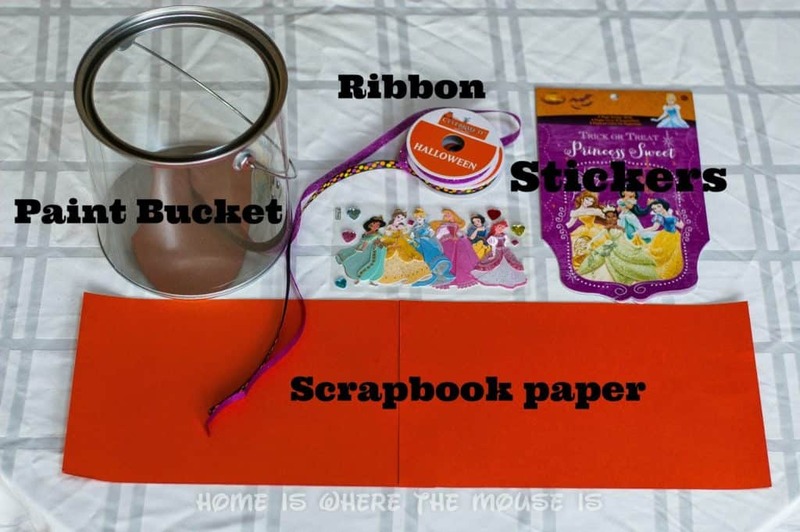 I’ve come up with a way to create fun and festive Disney-themed Trick or Treat buckets at home using materials you may have around the house, and it’s kid-friendly. 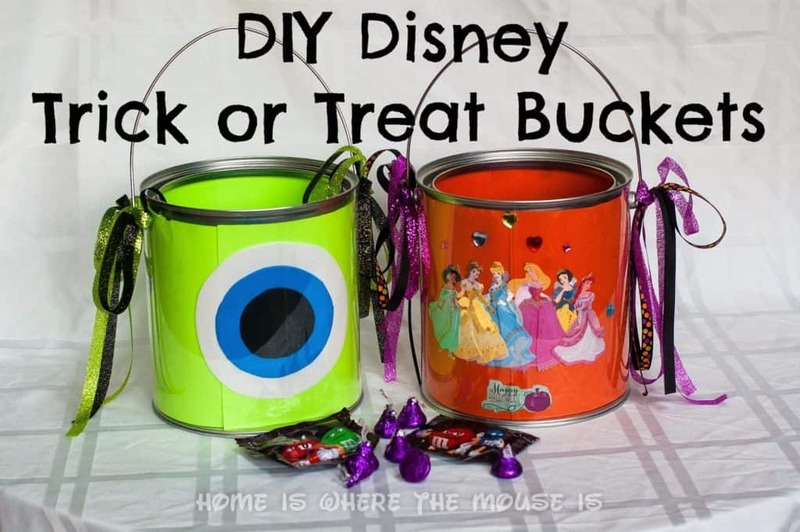 Your kids will have a great time designing their buckets that can then be used for trick or treating. 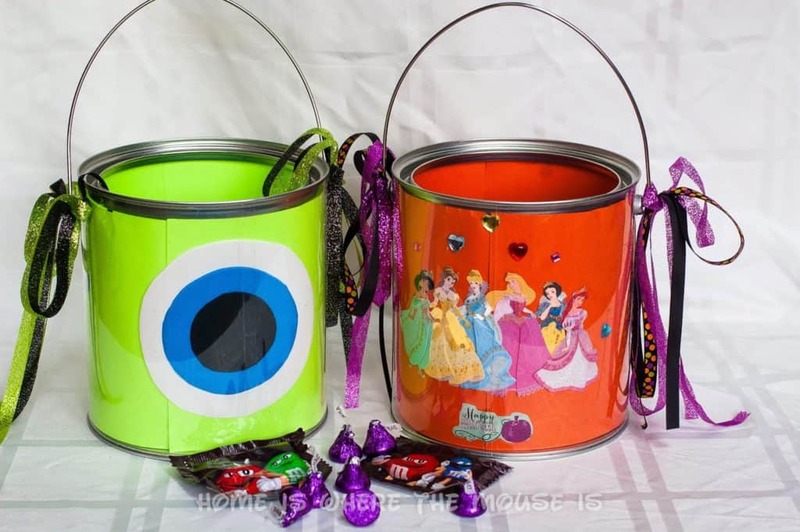 My kids and I made two different style buckets, Princess and Monster’s Inc themes. First, I cut the paper to fit around the inside of your paint can. To find the exactly how long and wide your paper has to be, use a tape measure to measure the circumference of the can. 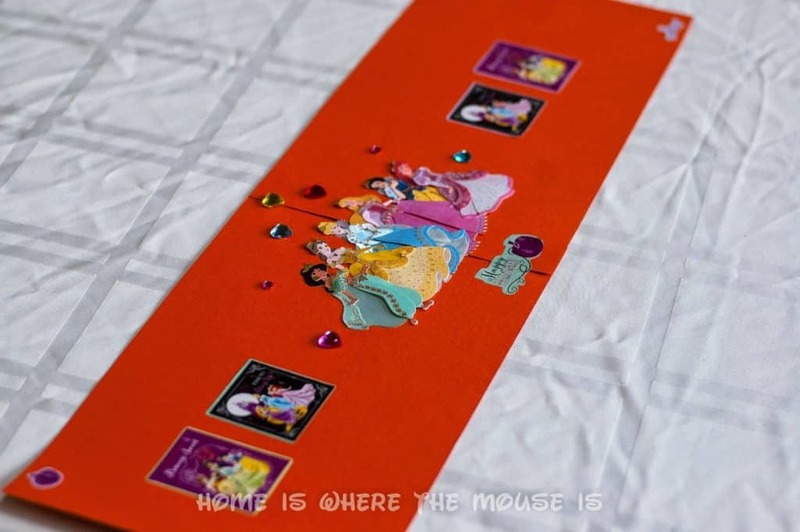 Next, my kids used stickers and scrapbook embellishments on the paper to create their design. 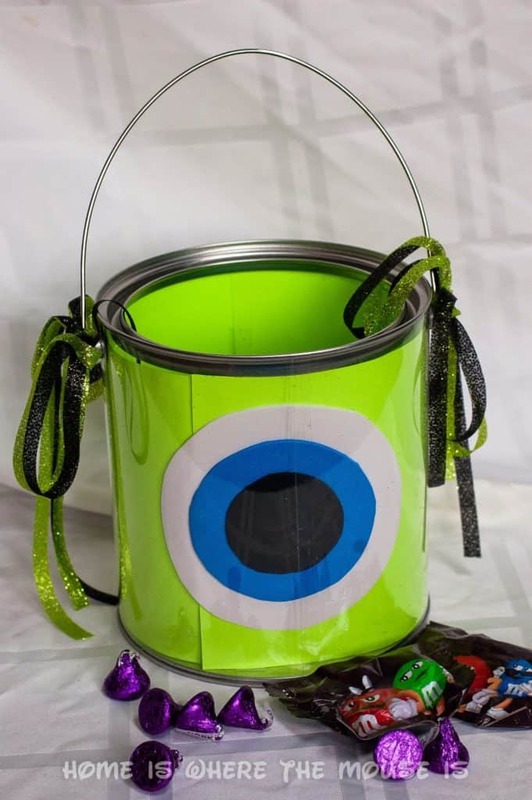 For the Monster’s Inc. bucket, I cut three circles, white, blue and black, out of peel and stick foam. I placed them on top of one another to create Mike’s eye. After the design was complete, I inserted the paper inside the bucket. I had to gently press the insert so the top edge of the paper slid under the lip of the bucket. This part was a little tricky so go slowly and be patient. Once the paper was in place, I attached a piece of double stick tape to keep the paper from moving. Last but not least, we decorated the buckets with festive ribbons that coordinated with the bucket’s theme. 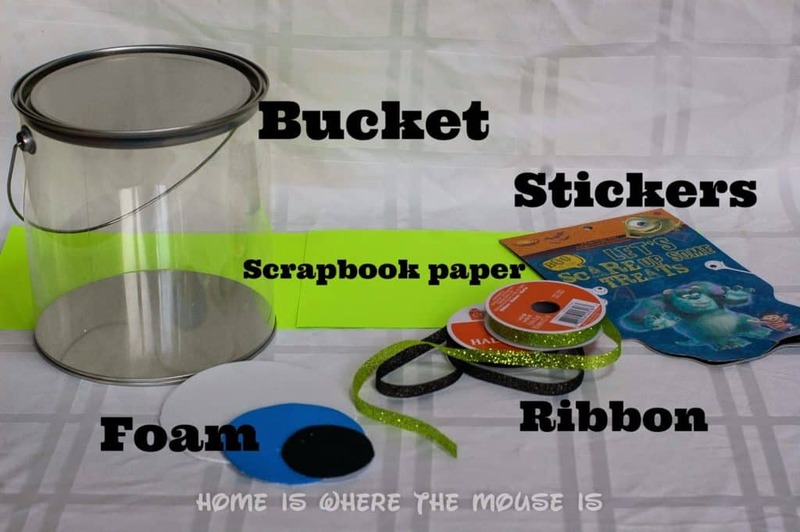 You could also personalize the buckets by adding letter stickers to the outside. The only thing left to do now is wait until Halloween to fill up these bucket with lots of sweet treats and candy. Happy Halloween! Previous Post: « Is the Disney Dining Plan worth it?